Piper put her game face on Saturday night. The Noles were playing. 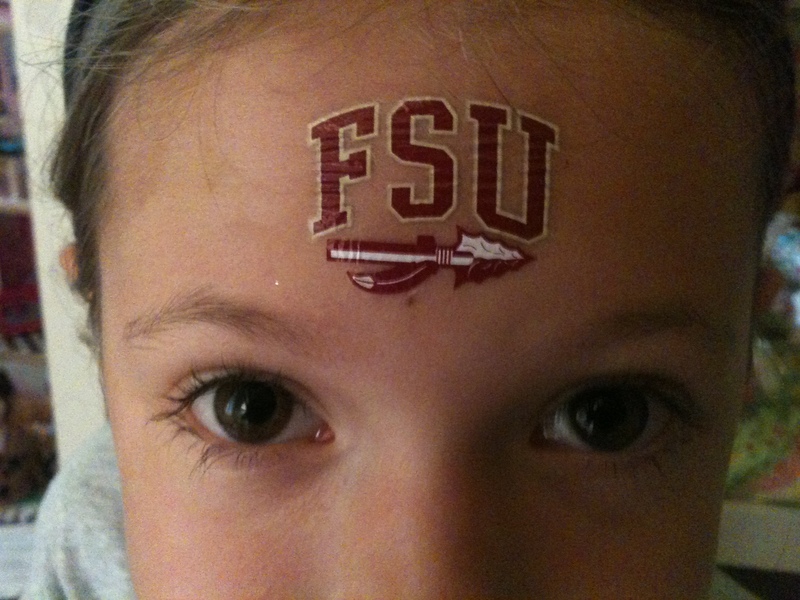 We take college football seriously in this house. Or at least we dress that way. Piper enjoys the football snacks. She likes watching her Daddy jump off the couch and shout at the television. She likes staying up past her bedtime. She loves doing the war chant. She doesn’t waste her time keeping track of pesky things like the score. Just pass more pretzels, please. 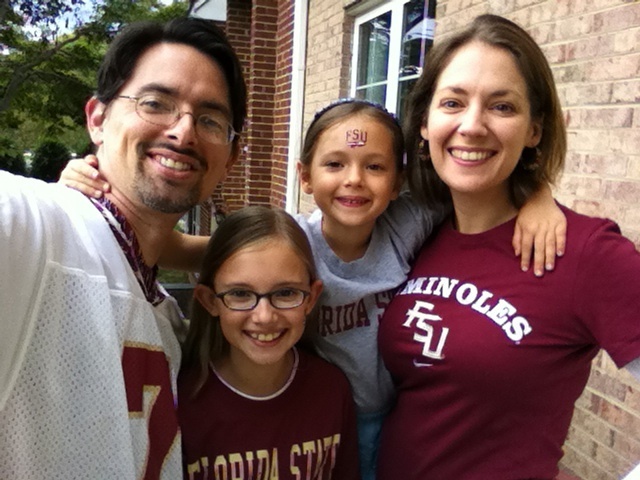 This entry was posted in Antics and Adventures and tagged college football, florida state university, humor, noles, parenting, piperism, tattoos, watching football with kids by melissa.scholes.young. Bookmark the permalink.